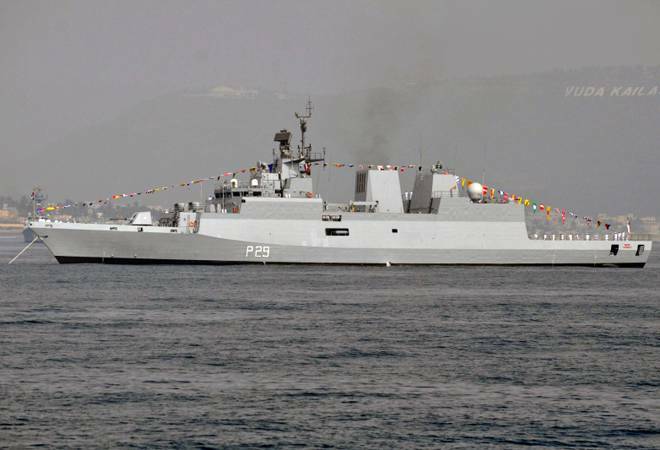 Indian Navy's frontline corvette INS Kadmatt reached Malaysian archipelago Langkawi on Monday to participate in the 15th edition of Langkawi International Maritime and Aerospace Exhibition, LIMA-19, the Navy said. Vice Admiral Karambir Singh, Flag Officer Commanding-in-Chief, Eastern Naval Command, and the Chief of Naval Staff designate, would lead the Indian delegation and attend various engagements as part of LIMA 19, the Navy said in a statement. The ship would participate in numerous activities planned as part of LIMA 19 for seven days at Langkawi, including the International Fleet Review (IFR) by the Prime Minister of Malaysia, maritime and air demonstration, and sea exercises with 29 other participating navies. INS Kadmatt is an indigenous stealth anti-submarine warfare corvette and was commissioned into the Indian Navy in January 2016. The ship is fitted with state-of-the-art weapons, sensors and machinery and is also designed to embark the Seaking anti-submarine helicopter.